Sera Nematol is a very effective remedy against nematodes such as Camallanus, roundworms (Capillaria) and discus pinworms (oxyurids) for fresh and salt water fish. A sensational R & D success: sera med Professional Nematol is the first ornamental fish treatment against Nematodes that may be sold freely. It is based on a patented Emamectin/solvent complex, highly effective and easy to dose. sera med Professional Nematol is particularly effective against Camallanus and round worms of the genus Capillaria, which mainly occur in angelfish and discus. It can also be optimally used against pinworms (Oxyurida), dreaded by discus keepers. At the same time it combats the small copepods that Camallanus uses as intermediate hosts. 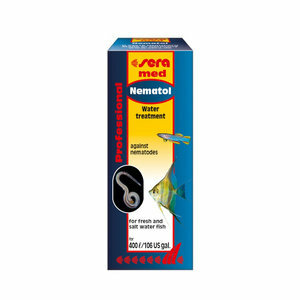 Result: With sera Nematol a well tolerated and highly effective ornamental fish treatment that can be sold freely is now available for the first time! 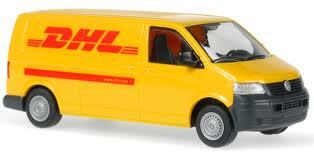 It is a liquid and therefore can be dosed easily and precisely. Add 1 ml sea Nematol per each 40 litres of aquarium water. Distribute the treatment on the watrer surface from the dosage cup while stirring it into the water with a spoon or staff. Aerate the aquarium well during the treatment, switch off UV-lamps and do not filter through active carbon. A water change of at least 80% must be carried out after two days (or during the treatment if the water gets cloudy). You can combat larvae that have hatched from the eggs in the meantime with a second application of sera Nematol three weeks later.